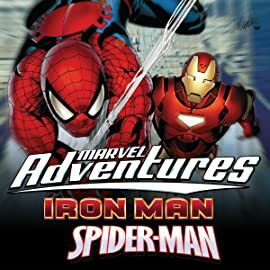 Collects Marvel Adventures Spider-Man #57, Marvel Adventures Iron Man #1, Iron Man #234 And Marvel Team-Up #9. The all-ages, all-action fun continues with four stories starring two of Marvel's most famous heroes! First, it's up to Spider-Man to save the day when a werewolf terrorizes Midtown High. And if that's not bad enough, Tombstone and the Torino crime family have put a price on his head! 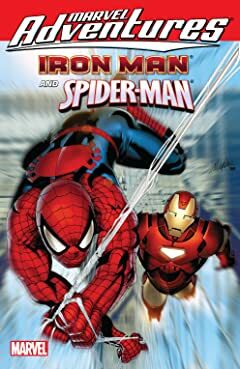 Then, learn the terrible secret from Tony Stark's past that forced the billionaire inventor to become the Golden Guardian known as Iron Man, the world-renowned symbol of mega-conglomerate Stark International! And finally, our heroes battle together in two titanic tales of Marvel past, facing the twin terrors of the Radioactive Man and Zarrko, the Tomorrow Man!